Holy Rascals is a short little book that makes the hamsters in your brain get a workout. This book talks about learning to look at your religion through the lense of humor. Not in a mocking, but thought provoking way. I am alright with some spiritual snarkiness. For some reason this brand of humor was lost on me throughout most of this book. This book talks about the major religions of Christianity, Judaism, Islam, Buddhism, etc. It takes the traditional views and shows you different ways to view them in non literal ways. This book was a lot to take in, mentally and spiritually within one day. The thing I do agree with is that God is bigger than the Holy books that have become idols in a way. I was raised a Christian and do believe, but don’t go to church. I’ve read up on other belief systems like Buddhism. I’ve even read a few on atheism. I wouldn’t recommend this book for the sensitive doubter. If you have a similar humor to Rami Shapiro you might also, enjoy books by David Hayward. 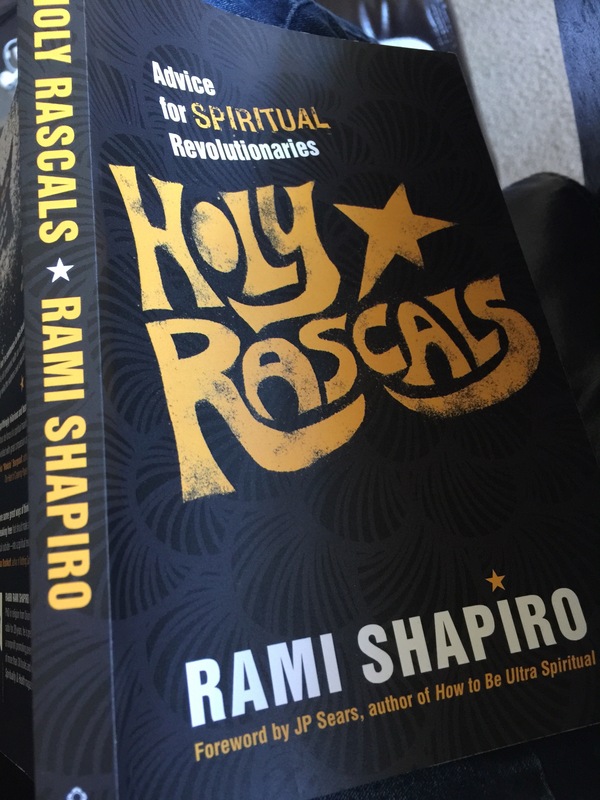 I received an ebook of Holy Rascals by Rami Shapiro for free from NetGalley and also, complimentary hardcopy from Sounds True in exchange for my review. If you want a book that will challenge what you believe in and get you to think outside the box this book will do just that.